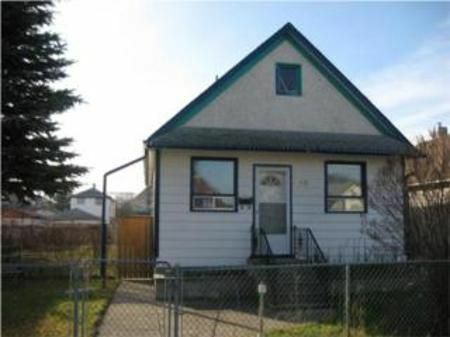 Great location with this 750 sq ft bungalow situated on a Double lot with a Double garage. Clean and Straight w full sized basement. Nice sized Kitchen and seperate Dining Room. Huge fenced yard features a reinforced 16x16 deck built with concrete piles. 4 piece main bath & 3 Piece in Basement. 100 amp service w/40 amp sub panal, all circut breakers. Includes Fridge, Stove, Washer & Dryer. Not one to miss, just in time for Christmas.